NASA’s Curiosity rover has found new science “results” on Mars and the agency will disclose the findings at a press conference that starts at 11.30 p.m. India time on Thursday. 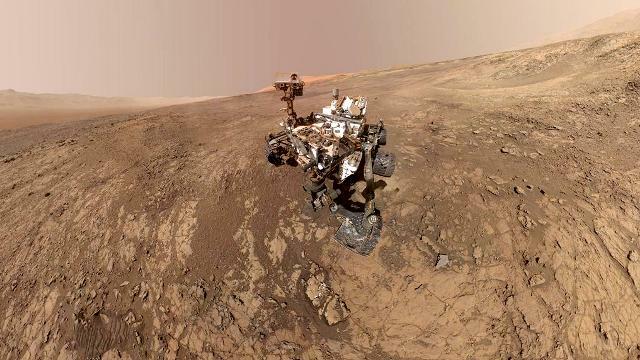 NASA earlier this week announced that the Curiosity rover had started analysing drilled samples on Mars in one of its onboard labs for the first time in more than a year. It had to stop analysing samples on the Red Planet after a mechanical problem took the rover drill offline in December 2016. It successfully tested a new drilling method in May on the Red Planet, making a 50-millimetre deep hole in a target called “Duluth”. NASA has not yet provided clues on what the new results are about, but it said that during the event, NASA scientists will have chats with the the public and media on the findings. The public can send questions on social media and the event will air live on NASA Television and the agency’s website. Interested people will also be able to watch it on several social media platforms including Facebook Live, YouTube and Twitter/Periscope.